Now that you know why it works read on to find out how to use it. Crush the garlic and onion or throw them in a blender to get a fine pulp. Heat the carrier oil in a pan and add the garlic and onion paste to the oil. Heat the oil until the pulp starts to turn brown and then turn off the heat. Once the oil has cooled, strain it and discard the pulp. Take two tablespoons of the oil and start to gently massage your scalp with it. After 15 minutes of massaging, cover the length of your hair in the oil and let it sit for an additional 30 minutes. Wash off with a mild shampoo. Conditioning is optional since the oil acts as a conditioner. Repeat this three times a week for best results. The oil massage stimulates the hair follicles in the scalp while improving blood circulation. Extract the juice from the 8 cloves of garlic. This should give you about a tablespoon of garlic juice. 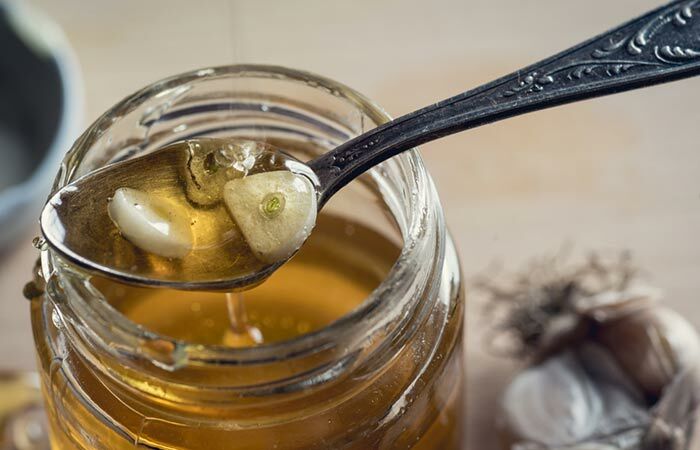 To the garlic juice, add one tablespoon of honey and mix until the two are well combined. 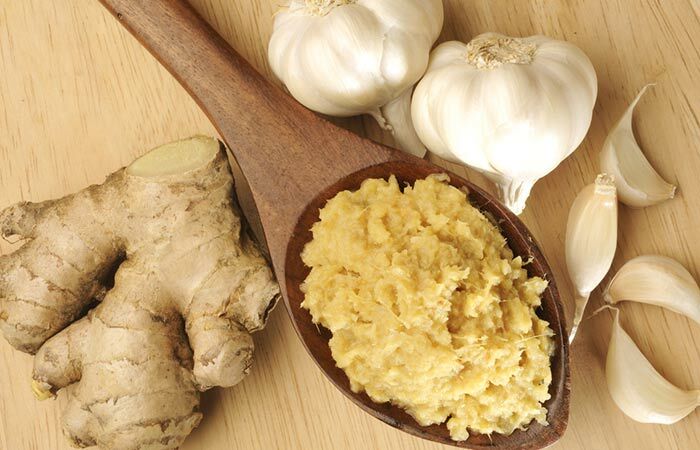 Apply the garlic-honey mixture to your hair and scalp and leave it in for 20 minutes. Honey helps strengthen the hair follicles and seals moisture to your hair. This not only boosts hair growth but also keeps it conditioned. In a jar combine all the oils and shake well to mix. Take two tablespoons of the oil blend and start to gently massage your scalp with it. 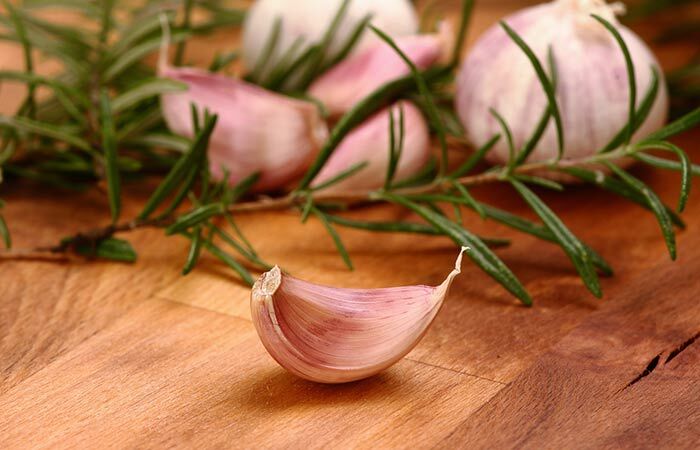 Garlic, rosemary, and castor are amazing ingredients for hair growth. While they work together to boost hair growth, the coconut oil deeply penetrates and conditions the hair. Crush the garlic and ginger or throw them in a blender to get a fine pulp. Heat the carrier oil in a pan and add the garlic and ginger pulp to the oil. Boil the ingredients in 2 cups of water for 15 minutes. Let the solution cool and then strain it for the liquid. Pour the liquid through your hair and let it sit for 15 minutes. Repeat this every day for a week. 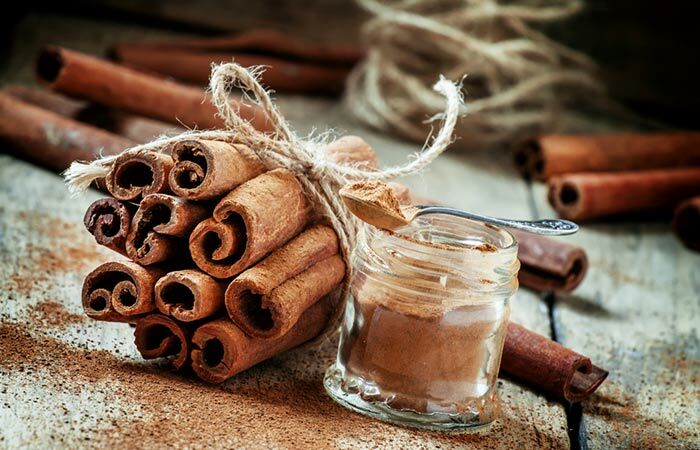 This onion, garlic, and cinnamon solution help with the regeneration of dormant hair follicles. Blend the garlic to get a smooth paste. Add the garlic paste to a bottle of mild shampoo and add 10 drops of peppermint oil to the mix for fragrance. Use This shampoo to wash your hair. 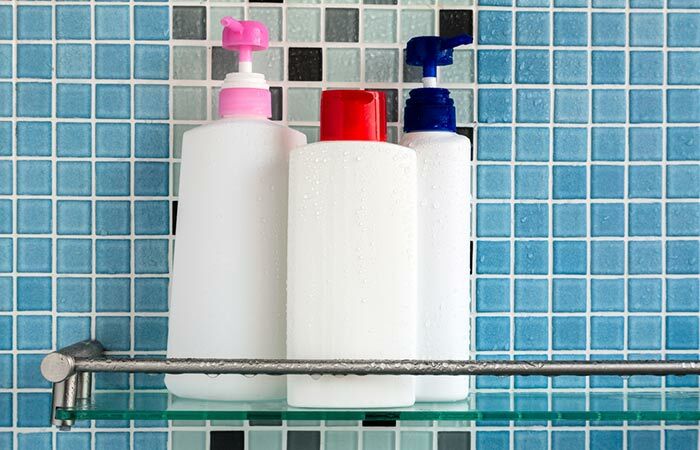 Don’t use this shampoo more than thrice a week. 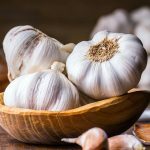 Is Eating Garlic Good For Hair Growth? Yes. In fact, inner nourishment is as important for hair growth as topical applications. Does Rubbing Garlic On Scalp Help Hair Growth? 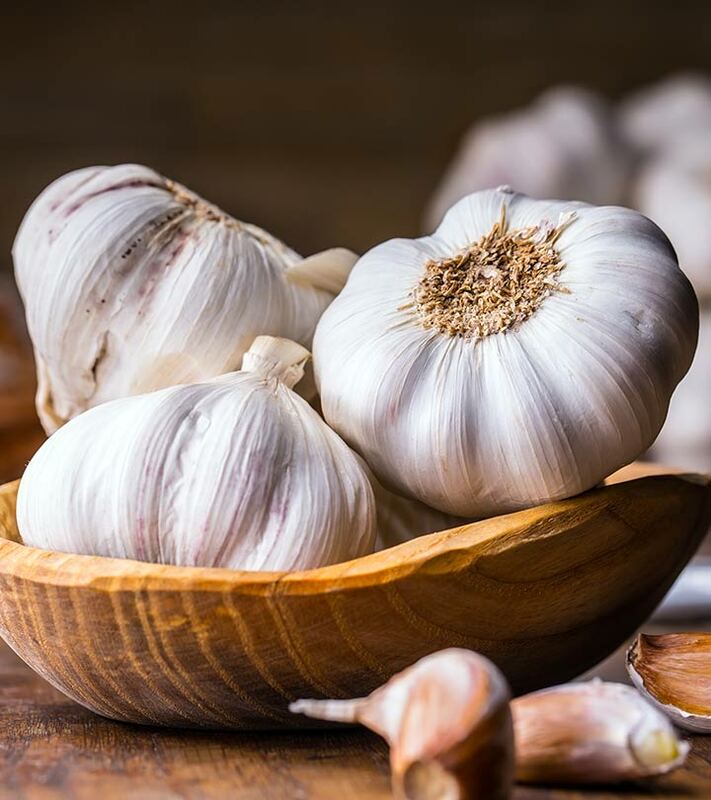 Rubbing a chopped clove of garlic on your scalp can promote hair growth. 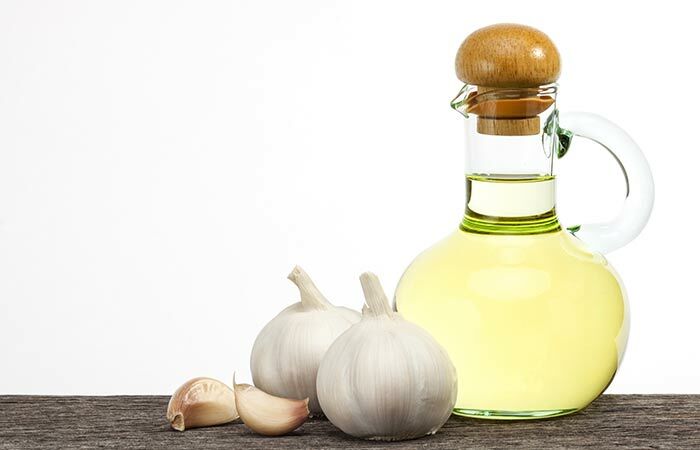 However, it is best to stick to the remedies listed about as direct application of concentrated garlic can aggravate the scalp. There you have it! The many different ways in which you can use garlic for hair growth. Have you tried any of these remedies? Tell us about your experience in the comments section below. Watching your hair get thinner by the day is one of the worst feelings in the world. 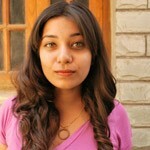 Worry not, here comes a list of garlic shampoos for hair loss problem and restore your hair's volume.